If you live in the Phoenix, Arizona area and need window glass contractor services, call SR Windows & Glass. Don’t trust your window replacement work to any glass shop. Choose a glass and mirror shop that provides quality glazier work and great customer service. Whether you need a broken window repaired or have a mirror you would like to be refurbished, we have the knowledge and experience to do the job properly, within a reasonable amount of time. We take pride in providing professional and courteous service to all our customers. Our company, SR Windows & Glass, offers glass repair contractor services in the Phoenix, Arizona area. 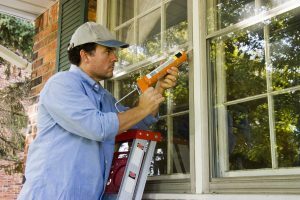 We provide services to repair or replace broken window glass on your property. We also have a shop where customers can purchase panes of window glass or have custom mirrors designed per your request. We offer timely service, accurate estimates of your glass or mirror project, and professional glazier services for all your window installation, replacement, or repair needs. We aren’t a handyman service but rather experienced glass contractors who only deal in residential and commercial glass. A glazier is a professional who works with window and mirror glass. A glazier typically learns about glass through an apprenticeship, to gain hands on experience in the various glass repair and replacement tasks typically offered to customers. Glaziers do more than simply install or replace window glass. They also know how to measure and cut glass for special projects. Typically, a glazier becomes knowledgeable and possesses the skills to repair or replace window and mirror glass after working in the industry and completing an apprenticeship. Certification as a glazier is available and companies that providing window and glass services to commercial customers can get certification through the North American Contractor Certification program. A glazier becomes familiar with all types of glass used in residential and commercial settings, including window panes for store fronts, double pane windows, triple pane windows, Repair of cracked or chipped window or mirror glass, glass for sliding patio doors, and customized glass work. Glaziers know how to measure and cut glass for special orders or customized windows. They learn how to install replacement and new windows in homes and office buildings. Glaziers who provide window and glass repair and installation services are familiar with most window and glass manufacturers, as well as the quality and warranties offered by each manufacturer. They can make honest recommendations for the types of windows that best suit your needs, whether in replacement windows, window panes for an office or store front, or new windows for a newly built home. Glaziers can explain the energy efficiency ratings of various windows, such as double pane and triple pane. They can advise you on the best styles and brands to fit your budget and your specific needs. 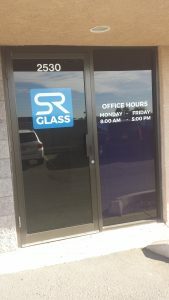 SR Windows & Glass has a glass shop, which is conveniently located within the I17 corridor. We have an online showroom, so homeowners who are considering a remodel can view a selection of windows, glass patio doors, and glass shower enclosures for their particular projects. When you call for a consultation, an expert can also explain the importance of using energy efficient windows in the home or office space. Phoenix is the state capital of Arizona, known for it’s warm and sunny weather year round. Phoenix is known as “The Valley of the Sun” based on its climate. The population is over 1.6 million and has experienced substantial growth in the past few decades, due to popularity as a retirement destination and a place for families to live. It’s the 5th most populated city in the U.S. today. There are plenty of activities to enjoy in Phoenix, whether you prefer golf, night life, gardens and outdoor activities, or simply want to spend more time outdoors. Phoenix is home to several professional quality golf courses, as well as several cultural museums and outdoor gardens. The Phoenix, Arizona region was once inhabited by the Akimel O’Odham Indians. America gained the region after the Mexican-American war ended in 1848. In the 1860s, mining operations and Army forts were established in the region. Phoenix became the state capital in 1912. some famous people with a connection of Phoenix include former President Calvin Coolidge and will Rogers. You can read more about the history and development of Phoenix at https://en.wikipedia.org/wiki/Phoenix,_Arizona. Phoenix, Arizona is home to many well known companies, like McDonnell Douglas, Intel, and Motorola. These companies settled in Phoenix due to the large potential labor pool. At the same time, technology has played a significant role in support the economy of Phoenix and of Arizona. Phoenix is also home to several popular spa resorts. The urban area of Phoenix is sprawling and has been divided into urban villages, based on cultural and historical events. Today, the city draws tourists from around the world and is among the favorite places for seniors to retire. Education also plays a major role in the economy of Phoenix. Arizona State University, University of Arizona College of Medicine, and a campus of Northern Arizona University are all located in Phoenix, along with 10 community and technical colleges to serve the area. While there are plenty of sights, educational opportunities, and activities for residents and visitors of Phoenix, transportation projects continue to grow with the community as well. Valley Metro provides bus transportation throughout the area, while the newly developed Metro light rail system continues to expand throughout the region. The expansion of Phoenix provides opportunities for small businesses like SR Windows & Glass to grow with the residential and commercial property growth.